Cowls or Infinity Scarves. What lengths are best? Every year at this time, we all start getting out our scarves and cowls to keep us warm. If you know how to crochet or knit, you may want to make your own but wonder how long to make it. Over the course of designing a handful of cowls, I've compiled a list of suggested lengths and widths that seemed to work well for me, my girls and those who tested the patterns for me. This isn't set in stone but more of a guideline with ideas of how each size will fit. 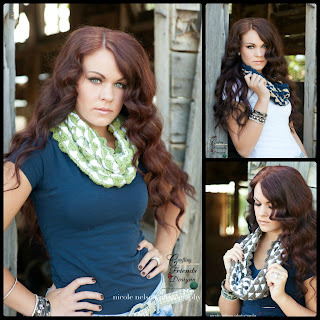 I made my Ribbon Candy Infinity Cowl with my older sister in mind (modeled here by my friend Ashlee from Ash & Co). I love the stripes that the stitch pattern gives and thought it would be perfect for her. When I took my little girl to get photos of the Ribbon Candy Scarf, it was a really cold day and I had that cowl in my bag. I pulled it on her to keep her warm. Same size cowl, 2 different looks for different sizes - and I LOVE it! 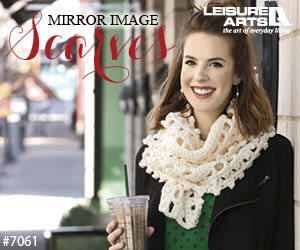 There are so many options and styles to choose from with scarves and cowls! How do you know what size to make? This is my basic guideline that I use when designing cowls and making them for friends and family. This is just meant as a starting point for you to work from. You can obviously adjust what you are working to your own desired size. 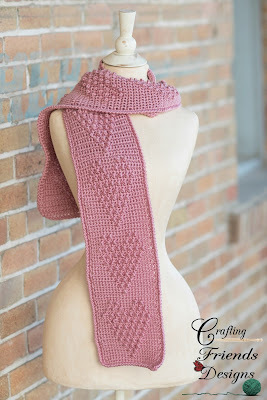 Do you like long, thin cowls? Do you like them closer to your neck and taller? Did you ever think about using your cowl as a wrap for a child? Hello everyone! It's good to see you following along with the Crochet for Charity Scarf Drive that Sonya over at Blackstone Designs has put together this year (2016). 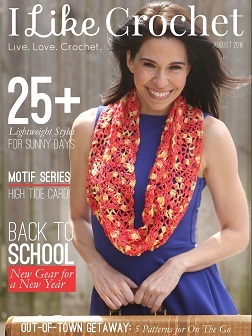 There are 18 new FREE scarf crochet patterns for you to enjoy (1 per week) over the course of 18 weeks. We are on week 4, so if you missed the first few, be sure to click on their links at the end of this post so you can have fun with those too! Each year, my girls' school collects hats, mittens and scarves to donate to locals who are in need. I love the idea and last year, I let the girls take a couple dozen fun hats. This year, I had already decided to make scarves for them to take, so when Sonya mentioned her Crochet for Charity Drive was scarves, I was excited to join. I'm happy to introduce you to the new Heart Throb Scarf. I love texture and wanted something simple yet something that would make you feel loved wearing it. I hope that you will take some time to whip up a few for those in your local communities who will need a little something extra this winter to feel loved and stay a little warmer. 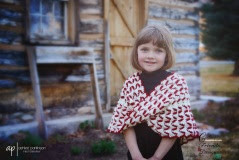 The PDF of this pattern is available on Ravelry for a small fee. It includes written instructions and a graph. http://www.ravelry.com/patterns/library/heart-throb-scarf-2 Go ahead and give the pattern a "heart" on Ravelry too! If you are visiting this post during the 2017 Ten Days of Thanksgiving, add this pattern to your favorites by giving it a "heart" and use code 10THANKS at checkout on Ravelry to receive the pattern for free on 10/14/17 only. 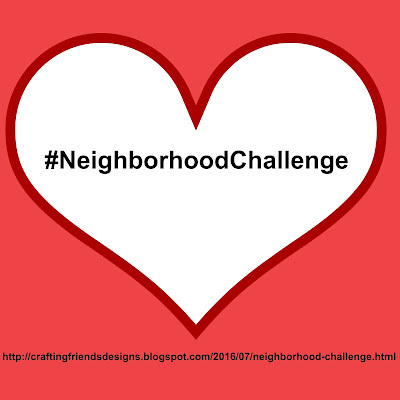 Come Join Me in my new Neighborhood Challenge! Lately, there has been so much hate and violence on the news and it so frustrating. I have so many things that I want to say, but I don't want to focus on the negative. I want to focus on the positive and all the good that is going on and I want to help others to see and focus on the positive too. There is so much more love in this world than there is hate, but the hate is easier to see and react to. How much better could it be though if everyone would just slow down and set down their electronics for a few minutes each week to do something kind for someone? Not for your normal group of friends and family (though that is fabulous too! ), but for someone in your neighborhood that you don't know that well. We live in a time where everyone is rushed. Rushed to go to work, rushed to get the shopping done, rushed to get the kids to soccer or softball or a gazillion other activities, rushed to grab fast food for dinner because we don't have time to actually cook it. To often, we "THINK" we just don't have enough time for others. How many times do you "WANT" to help, but just don't have time? I get it. I do! I've said it many times. Honestly, it doesn't take a lot of time or even any money to be kind. I am challenging myself to be better. I am going to make a concious effort to do extra this next month for my neighbors. NOW is the time to be kind. NOW is the time to get to know your neighbors. NOW is the tie to be sincere. NOW is the time to strengthen our communities. NOW is the time to make actions speak louder than words. So, here is my "Neighborhood Challenge". I'm not asking for big huge events (though that would be fun). I'm just asking you to take a few minutes out of your week to do an act of kindness for someone you don't normally associate with. Get to know your neighbors. Let's bring back the friendly neighborhoods an get rid of the uncertainty and hate. I've made a list of some things that we can try. If you need to plan it out, go ahead and mark 1 day a week on your calendar or at least every 2 weeks to set aside time for acts of kindness. Let's hold each other accountable. Let's not just say we're going to do this, but let's do it! so we can see how much love is going around. Let's fill our lives with the good!Do you have 20 minutes in the next month that you can spare? Will you join me? 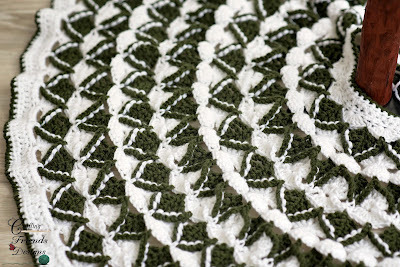 A few years ago, I saw a photo of the Pine Tree crochet stitch and thought it was really cool. I've had it marked to use in a design since then and have looked at it every now and then just waiting for some inspiration to hit. Two weeks ago, I decided that I had waited long enough and I just HAD to crochet with it NOW! 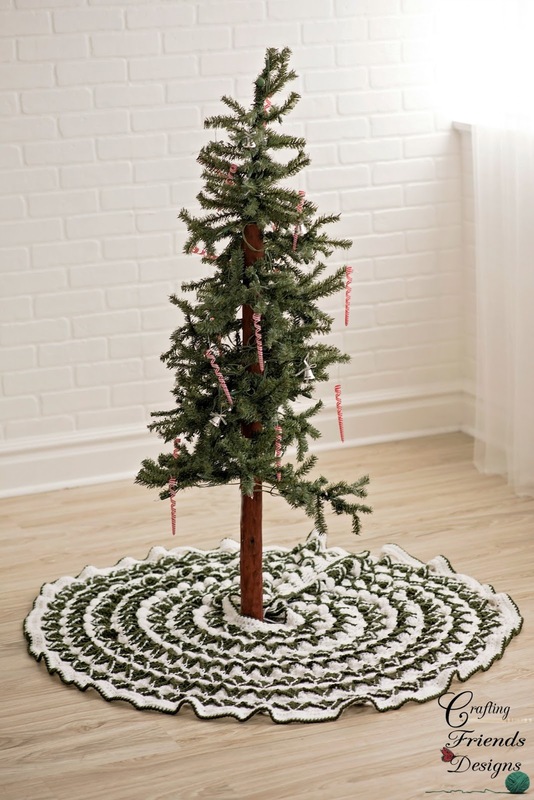 Right now is the best time to start crocheting things for Christmas, so I thought it would be fun to design a Christmas Tree Skirt crochet pattern. 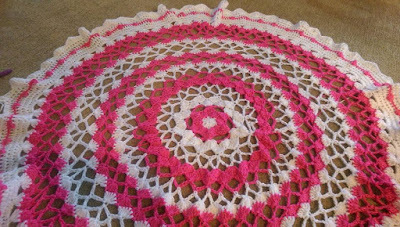 A lot of fans have told me that they don't crochet afghans very often because they are so big and they give up. We are going to work this design 1 row at a time over 27 days so that it won't feel so overwhelming. And I'll be right here with you to help cheer you on and answer any questions you may have. You are welcome to use a single color or more than 2 colors. Have fun with it and make it in colors you will love for a long time. Other 4ww yarns will also work, your size may vary based on the yarn though. 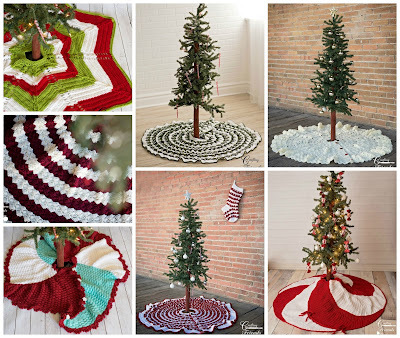 So, search your closets or have fun shopping for the perfect yarn for your tree skirt! 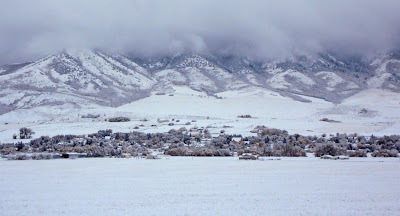 Be sure to follow this blog and check in daily for each update. 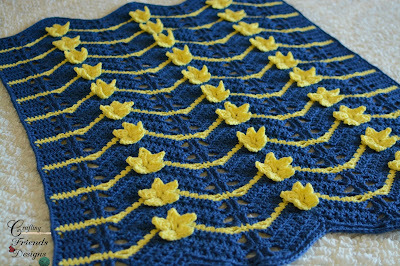 I will post the main post with stitch details and the first row of instructions on Friday. Each day, I will update that same post with the next row of instructions. If you follow by email, you will only get the first post and will have to check back for each update. I'm excited to get started and hope you'll all join me! 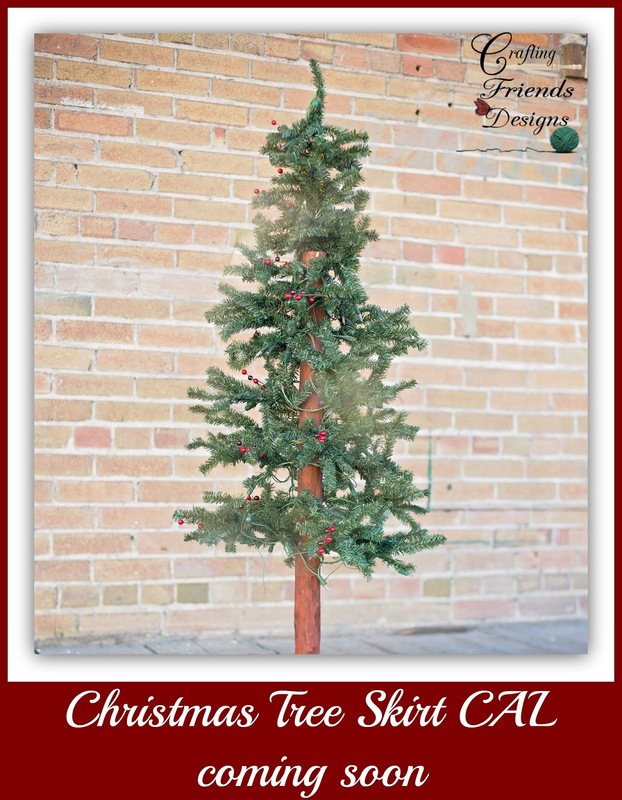 Have you ever gone into stores looking for a beautiful Christmas Tree Skirt only to find they don't have the colors or style you want? I love having my own personalized tree skirt under my tree every year! Now is the time to start if you're wanting to make your own. 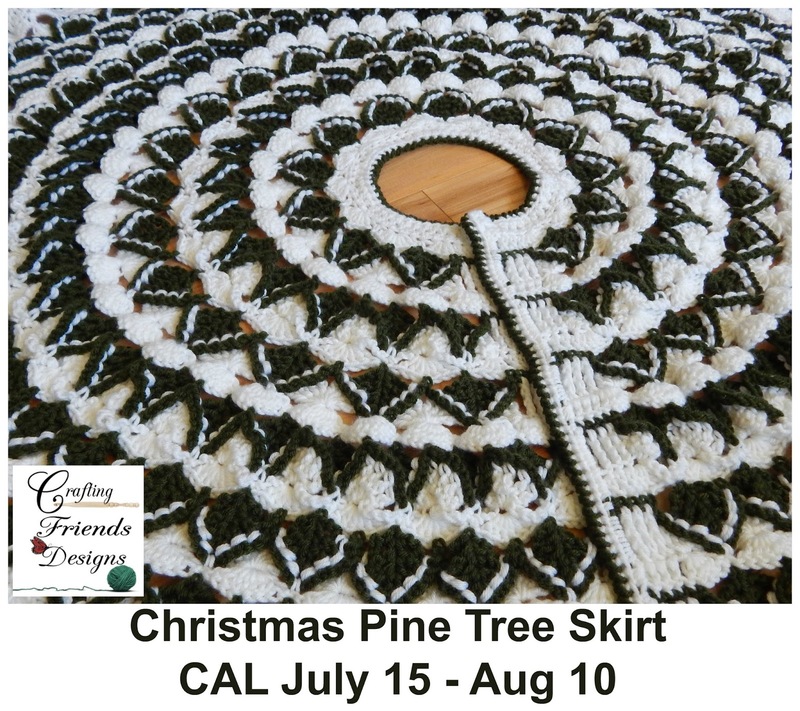 I'm almost finished designing a new tree skirt and will be hosting a CAL so that you can easily work up one for your home this year too. I will post details and a photo soon so that you can choose your colors and know how much to buy. I am using Pine Green and Snow White in Deborah Norville Every Day yarn. You're welcome to use any 4ww yarn of your choice though. 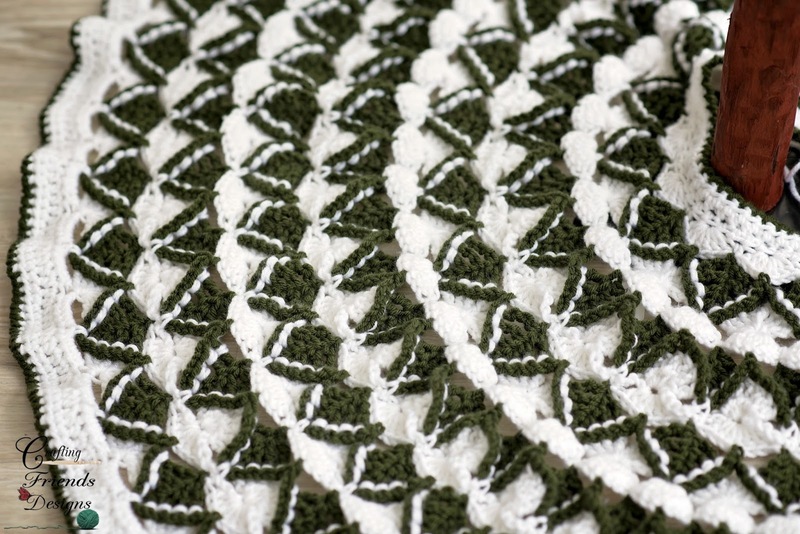 A few years ago, I designed the Diamond Christmas Tree Skirt with one of my favorite crochet stitches - the Brick Stitch. 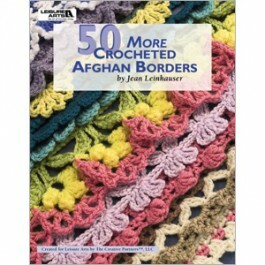 It's also the stitch known for c2c afghans though this obviously is not worked c2c. For this one, I used Caron Simply Soft yarn. 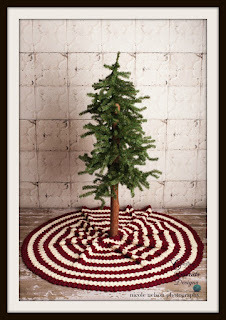 This is one of my best selling crochet patterns and I've enjoyed seeing photos customers have posted on my Facebook page with their tree skirt under their tree. 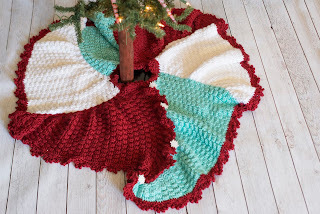 Shades of Teal and Red have been big colors for Christmas for a couple of years now and I knew I had to design a new tree skirt for my mom last year using those colors. 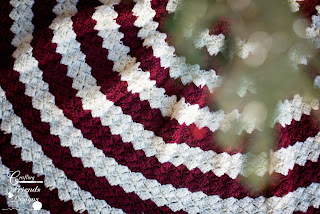 I wanted a fun style and great texture and came up with the TriSquare Swirl Christmas Tree Skirt just for her. This skirt also uses Caron Simply Soft yarn which shows the stitch well. 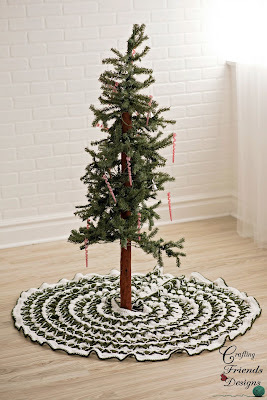 I've seen many simple start tree skirts and thought it would be fun to design one with some braided cables to add some texture. 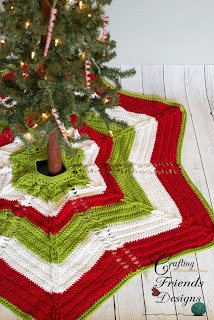 The Classic Cable Star Christmas Tree Skirt was fun in basic Christmas colors, but it would also be pretty in 1 solid neutral color too! This one also uses Deborah Norville Everyday yarn. 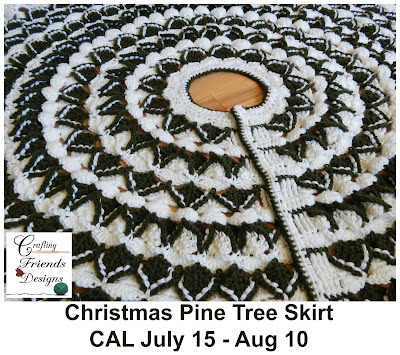 If you're ready for another fun, new Christmas Tree Skirt crochet pattern, be sure you follow my blog, Facebook page or have signed up to receive my newsletters (top left of the blog). One of the great things about running the Battle of the Stitches crochet challenge is that I get to design alongside a great group of ladies! 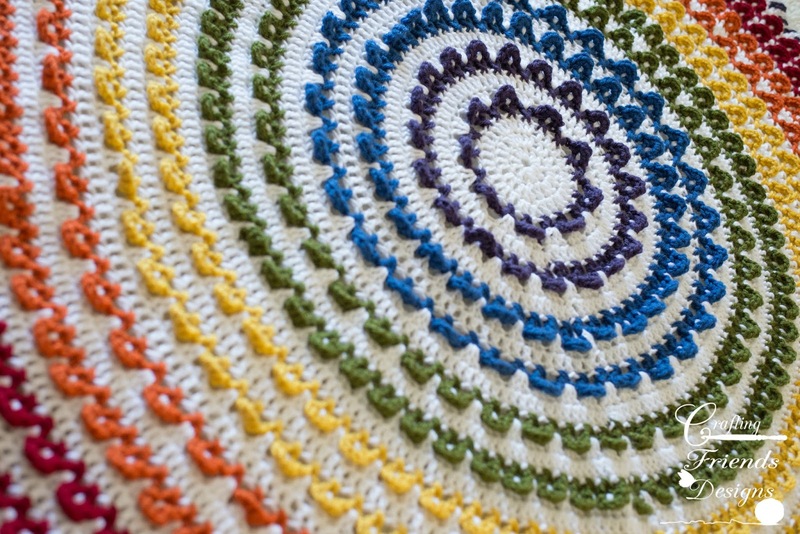 In April, 14 of us (10 challengers and 4 admin) designed something using the Trellis Waves crochet stitch. Typically, I like working more solid stitches because they're easier to hold. However, lately, I've tried to design things for spring and summer use which means light weight and more open stitches in the patterns. 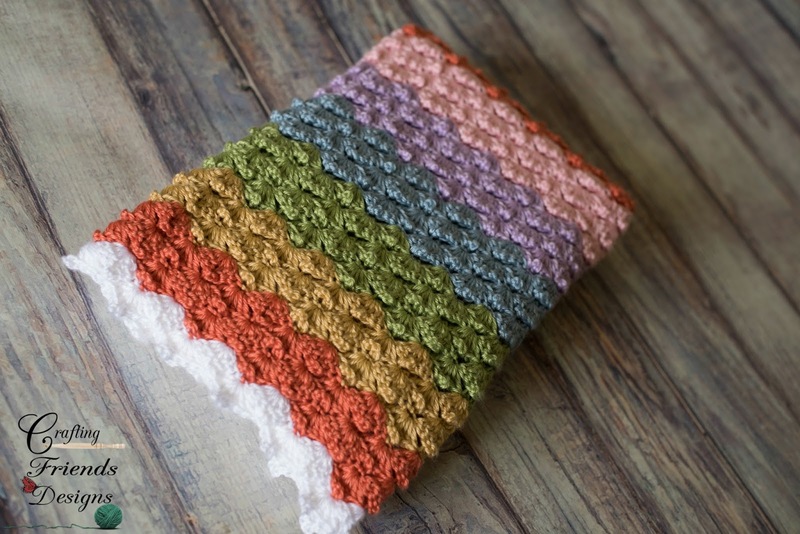 When we decided to use the Trellis Waves stitch, I knew I wanted to design something fun with multiple purposes. It had to be something that the others in the challenge probably wouldn't design. 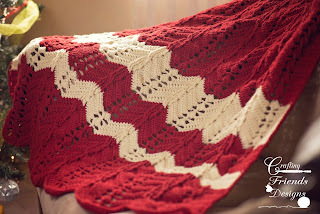 I came up with the Trellis Waves Round Afghan and love the results. 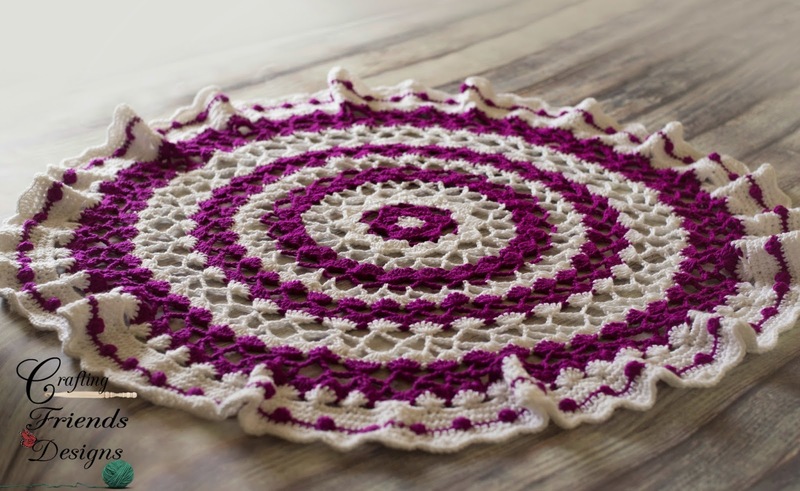 What I like about round designs is that you can use thread and turn them into doilies, a sturdy yarn and use it as a rug, a soft thinner yarn and use it for a table cover or 4ww yarn for an afghan. How great is that! Check out these photos from testers Lisa and Rebecca - BEAUTIFUL!!! I released the pattern last week, but wanted to give those of you who follow my blog or through email a special discount. I know many of you don't use Facebook, so you miss a lot. Spring is here and the days are getting warmer, so I've been working on several new designs that are light weight and fun. Of course, Chevron is still one of my obsessions. 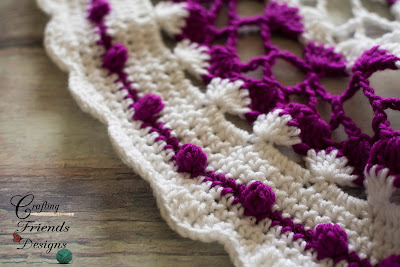 I love the challenge of getting different crochet stitches to work well in a chevron shape. I posted a photo of this new design on my Facebook page and asked fans to help give it a name. Thank you to everyone who commeted! 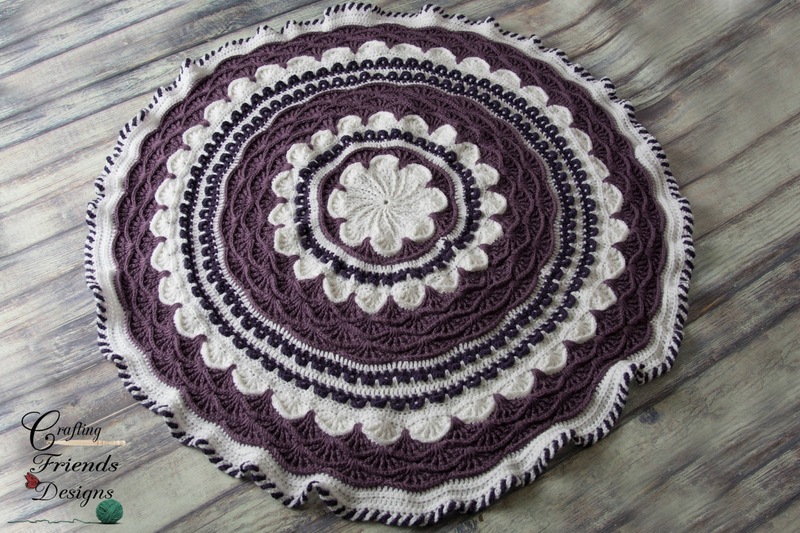 I have chosen a few random comments on that post to give a free copy of the pattern to today. Angie Shaver-Gillis suggested "Mardi Gras" as the name and with the colors, I thought that was a great fit. 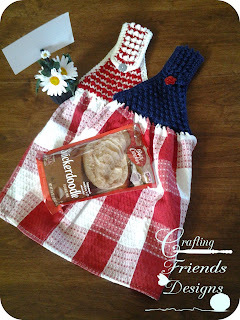 She will receive this pattern and 2 more of her choice for free for helping me out. It's been a crazy week! My hubby had surgery on his entire right arm on Monday and it's been a V E R Y L O N G few days. He's been in a lot of pain and neither of us have been able to sleep much at all. So I want to do something for you just to spread some smiles. With the weather warming up, my girls like to go for walks to pick wild asparagus and cook it on the grill. When I'm cooking, I don't like having towels on the counter, so I have several hanging towels around me for convenience. 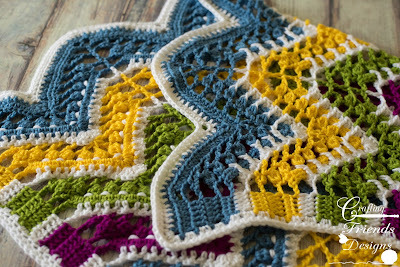 I'm excited to finally release the Starlight Chevron Afghan crochet pattern! 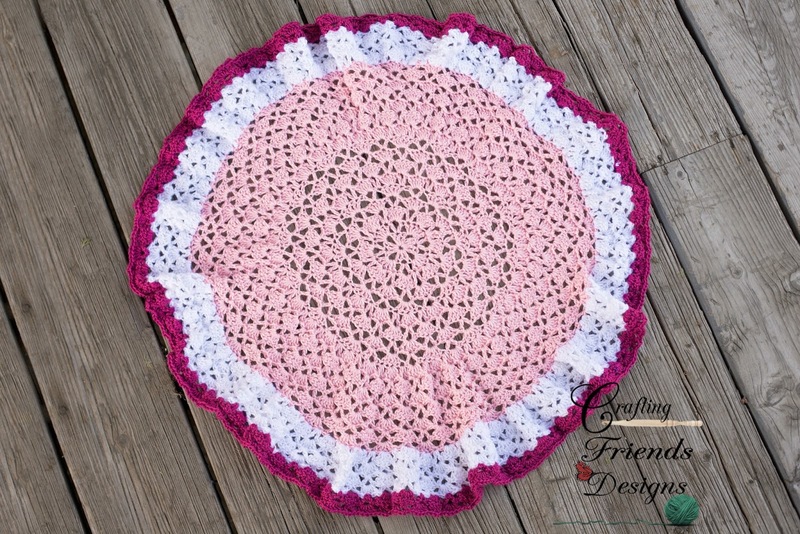 This is another fun textured design that will make wonderful Baby Shower gifts! Like the others, the stars in this are worked right into the pattern so you don't have to worry about stitching them all on later. 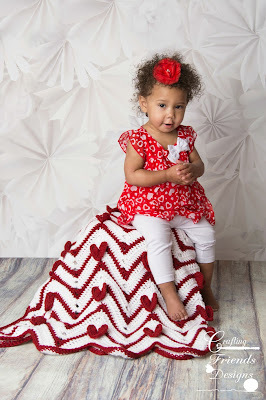 Worked in Blues and Yellows for a night time gaze at the stars or in Red, White and Blue for a fun patriotic version, this blanket is great for nurseries and even photography props. I chose to use Vanna's Choice yarn for this design because it holds the shape of the stars well and had the perfect colors for the night sky. With each new release, I've been asked by many of you if I would release them in a collection. Now that the 4th design is complete, I've set up the Love my Garden collection for you. This is a great way to get all 4 stunning designs for one great price! Each pattern is listed for $5.95 individually or you can enjoy the full collection for only $12.95. Thank you all so much for your many wonderful compliments as these 4 patterns have been released. I appreciate your love and support and look forward to working with you more! Ready or not, spring is on it's way! 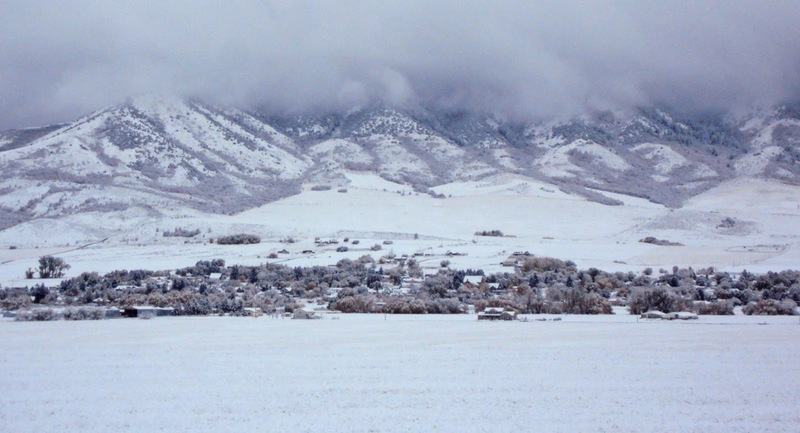 We've enjoyed some nice spring weather here in Utah this past week. It's been mostly sunny with a few spring rain showers and has been wonderful. When flowers start popping up in our yard, we all get excited to spend time outside. With the change of seasons comes a change in afghan designs. I am a HUGE afghan fan and love to have them around. It could be the middle of summer and I will still wrap up in a blanket at night while sitting out under the stars. 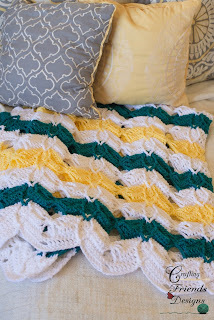 I hope you'll enjoy my new Sea Breeze Chevron Afghan crochet pattern. It was worked with Red Heart Super Saver yarn that I had in my stash and came together quite nicely. I love the colors Real Teal and Jade together! Such a relaxing combination. I Love to crochet and I Love gardening! You would think that those 2 things would show through together more often in my work than they have, right? 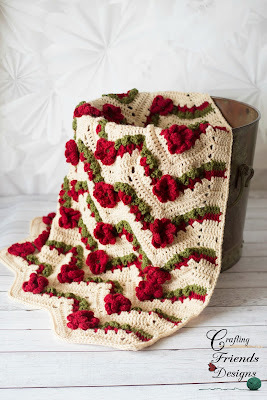 Well, as I mentioned in my post releasing the Heartbeat Chevron crochet pattern, I have never been a fan of flowers on afghans. I also have never really been a fan of Granny Squares and I think that's where my dislike began. 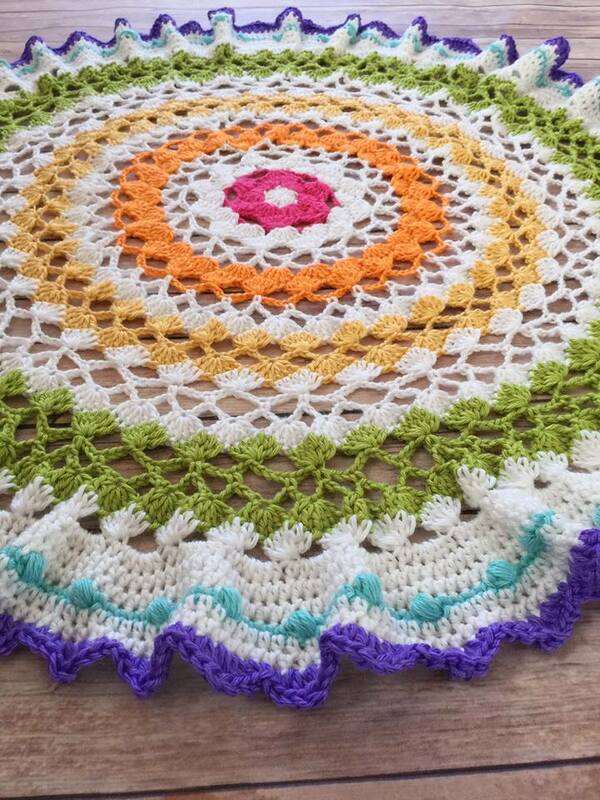 When I was little, that's where you saw all the flowers in crochet work - granny flower squares. They were big, they were bulky and I just didn't like them. It's funny how we change as we grow older! 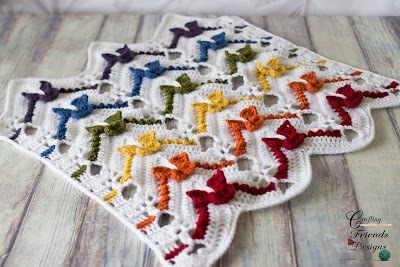 There are still some flower patterns that I don't care for and I'm really picky about granny square blankets, however, this new Flower Garden Chevron Afghan crochet pattern I designed is among my favorite! 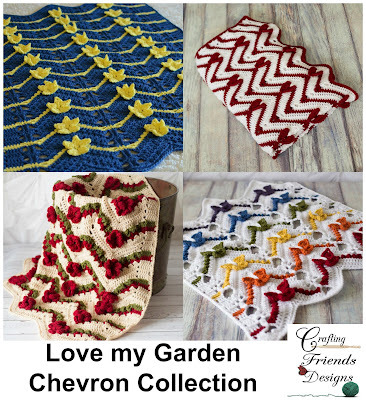 This is the 3rd design in my new "Love My Garden" Chevron collection. There are still a few more to come, but for now, let's stop and enjoy the flowers with a special release offer! 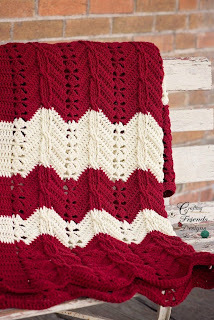 I'm so thrilled to bring you the 2nd design in my new chevron crochet pattern collection. 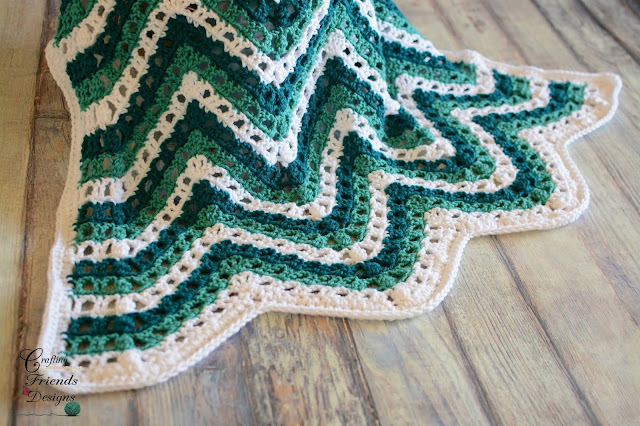 It has been so fun to create some cute and unique chevron afghans and there are many more to come, so be sure to follow me on Facebook so you don't miss out. Each new design will have different aspects to the chevron so you are aren't just getting a fun new shape to work, but also a good variety of stitch patterns to mix it up. 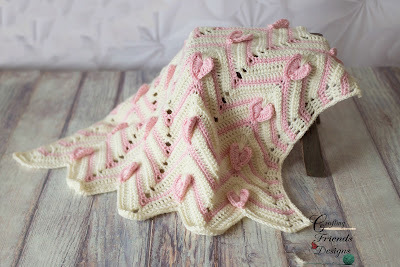 Last week, I released the Heartbeat Chevron with cute little hearts and it was SO exciting seeing it shared everywhere. 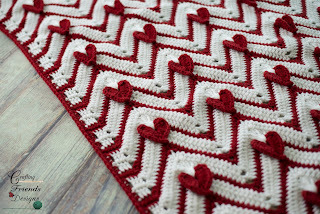 The response was amazing and I appreciate all of your help in spreading the word about it and giving it a "heart" on Ravelry. 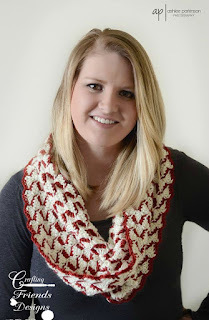 I am thrilled to bring you a new, unique and fun Chevron crochet pattern collection! Chevrons have just ruled my creative expression over the past year and this set takes a slightly different twist from my others. Last year, I focused a lot on textured chevron using stitches that you normally wouldn't see in any other shape than square or rectangle. 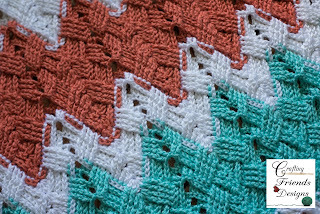 Reversible Textured, Cables, Basketweave and Trisquare were really fun stitches to turn into chevron and I enjoyed each one. Now, I have to admit, I really despised flowers and things on afghans in the past lol. This new collection surprisingly came together and are among my favorites now! It's been a busy January! I have so many fun new designs in the works, but it will be a while before I can share them with you. 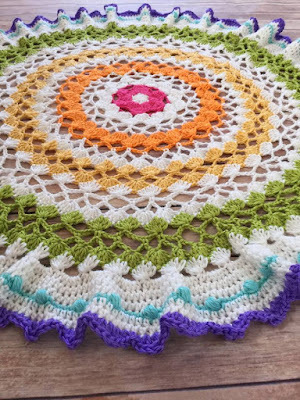 To help fill in the gap of releases, I've worked up this pretty Peaked Shell Afghan crochet pattern for you. It's simple, quick and has a fun little texture!